Re-released in 1997 as The return of Onkel Boskopp on CD Repertoire Records REP 4688-WY. 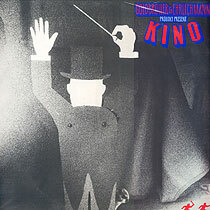 Track 5, Onkel Boskopp, has an additional 1 minute 40 seconds on the reissue; track 6, The Knödler show, has an additional 35 seconds on the reissue. The reissue also includes two tracks not appearing on Kino, Hattnatten & Little waltz.